If you are looking for central self-contained accommodation in Bathurst then look no further! 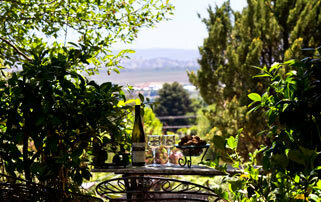 Bathurst Heritage Apartments offer competitively priced boutique accommodation for the discerning traveller. 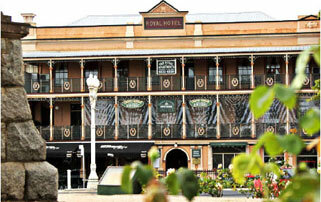 You will find our luxurious accommodation in the very heart of Bathurst. 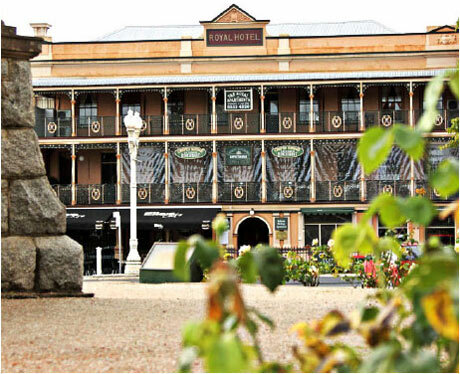 Stay at the heritage listed Royal Hotel building is located right in the heart of Bathurst. 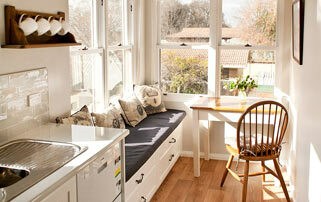 David Jones Cottage has been spectacularly renovated but still has all the heritage charm of the Victorian era. The Elmtree Cottage is set amongst a sprawling country garden, and is the perfect choice for those looking to get away from it all. All of our accommodation has been tastefully designed and decorated with inspiration being drawn from the history of Bathurst and the surrounding district. You could enjoy romantic getaway in the Music Room with its lavish four poster bed and spa, or enjoy a wine after work with a work colleague surrounded by local art in the spacious Artist’s Studio. We want you to feel like you could stay forever (happy to let you!). When we decided to run accommodation in Bathurst we said comfortable mattresses are a must, so no expenses have been spared! Along with a good night’s sleep, you can relax on comfortable couches while you watch your favourite shows on a HDTV. All of kitchens are fully equipped so you can create a feast for friends and family or just make a much needed cup of tea. Each apartment has free wi-fi so you can get some extra work done or just plan your next adventure. The locations of the apartments will add to your comfort. All of Bathurst’s restaurants, cafes and entertainment are in walking distance of your front door. Park the car for week and stroll amongst the streets at your leisure. For such wonderful apartments we offer very competitive prices. 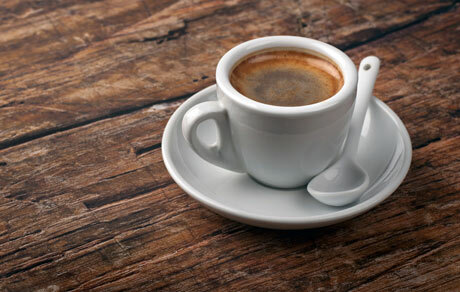 If you are a corporate traveller staying for a couple of nights or a family looking to stay for a week, we are happy to negotiate a price that will still let you splash out on a good coffee in the morning! For the best price call us direct on (02) 6332 4920. We have been providing boutique accommodation bin Bathurst since 1995 and we pride ourselves on catering for clients who want a great place to stay at a competitive price. 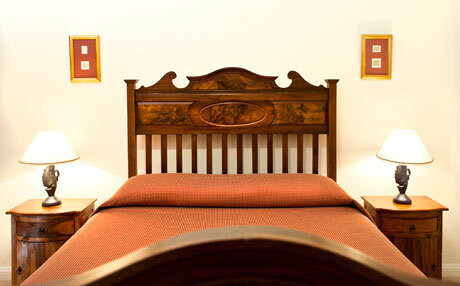 Our apartments combine the heritage themes and designs of the Central West with modern facilities. The majority of our apartments in Bathurst are located in the central business district, close to all the shopping, entertainment, restaurants, and cafes that the city has to offer. Guests love the fact that they can park their car in our secure car-park and spend their stay on foot. The Mews apartments are situated adjacent to ever popular Bathurst Memorial Entertainment Centre and the visually stunning Bathurst Court House. The newly renovated David Jones Cottage is just a short stroll from Charles Sturt University, great for families visiting students or guest lectures who want some home comfort. 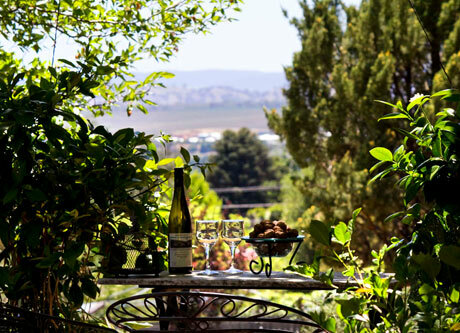 If you are looking for the best accommodation in Bathurst please feel free to call and we can discuss some attractive options that will suit you.